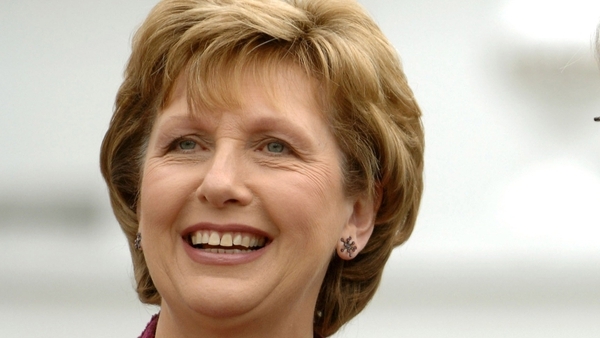 President Mary McAleese has paid tribute to the former President of the USSR Mikhail Gorbachev, describing him as a 'man of peace’. At event tonight in Moscow, President McAleese said it was because of Mikhail Gorbachev’s work that today's children of Ireland could get to know the children of Russia in way previous generations could only have dreamt about. The two also held a private meeting together, and Mr Gorbachev revealed that since their last meeting in Dublin eight years ago, three members of his immediate families had gone to Ireland to study English. Earlier, the President said Ireland's economy is beginning to 'come around' and said we have to do everything that is humanly possible to galvanise that momentum, and make sure it keeps going in the right direction. The President is on the second day of her official visit to Russia. She said the Russian economy is improving and said we must do everything that we can to try increase trade wherever we can. The Minister of State, Billy Kelleher, said the Russia market has hue potential for Irish companies. Also today, President McAleese met with Patriarch Kirill, who is the head of the Russian Orthodox Church. The meeting was held in private and lasted for 45 minutes. Among the matters discussed was the role faith communities can play in modern society and the importance of the Russian Orthodox Church in Ireland.